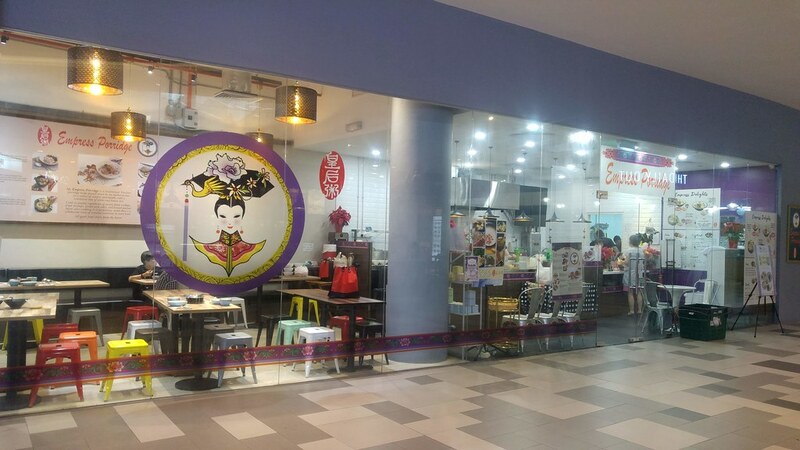 Empress Porridge was first established in NUH Medical Centre and has since become known for their home cooked flavours with a rotating menu of wholesome dishes. 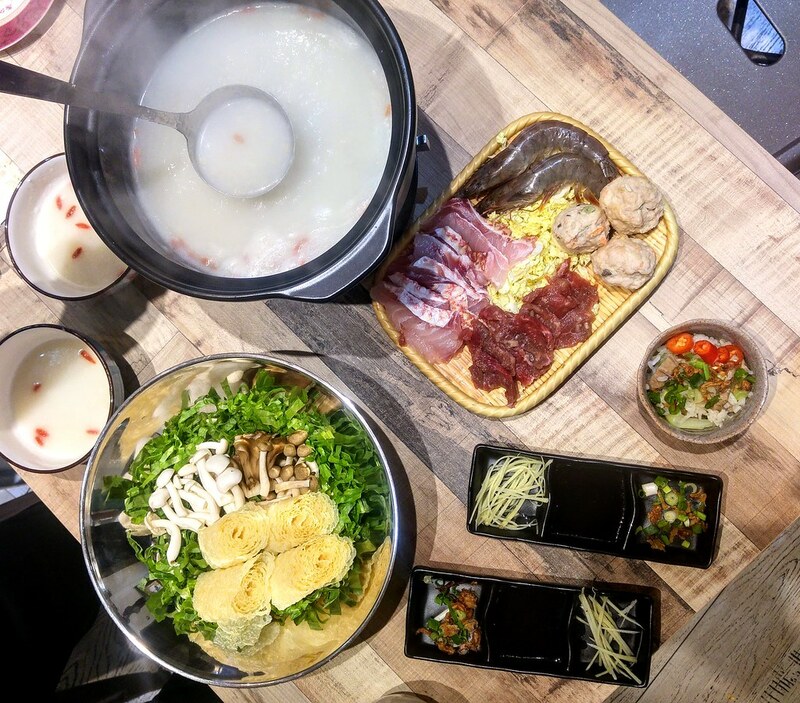 Now setting foot in Fusionpolis Place, Empress Porridge continues to warm your bellies with an expanded menu with two new additions - Porridge Steamboat and Take Home Dinner. 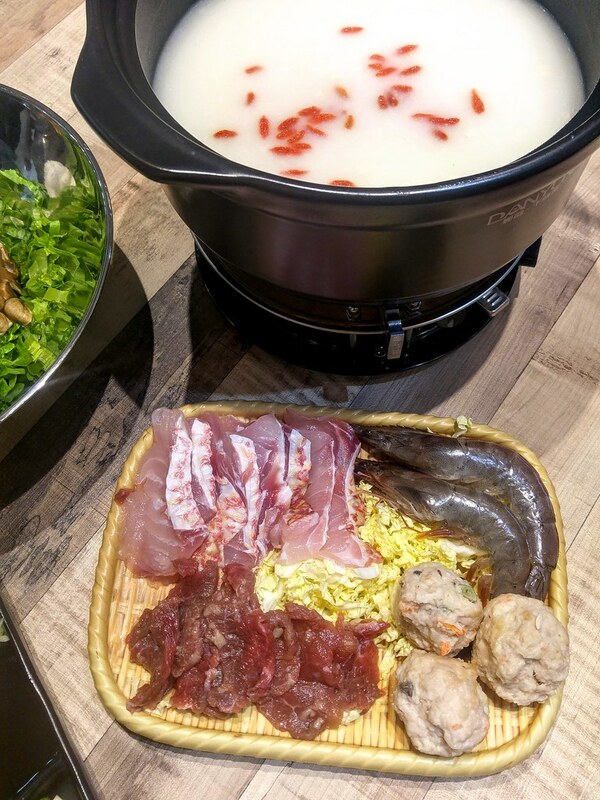 The Porridge Steamboat ($15) comes with a finely milled porridge base, along with an assortment of protein and vegetables. 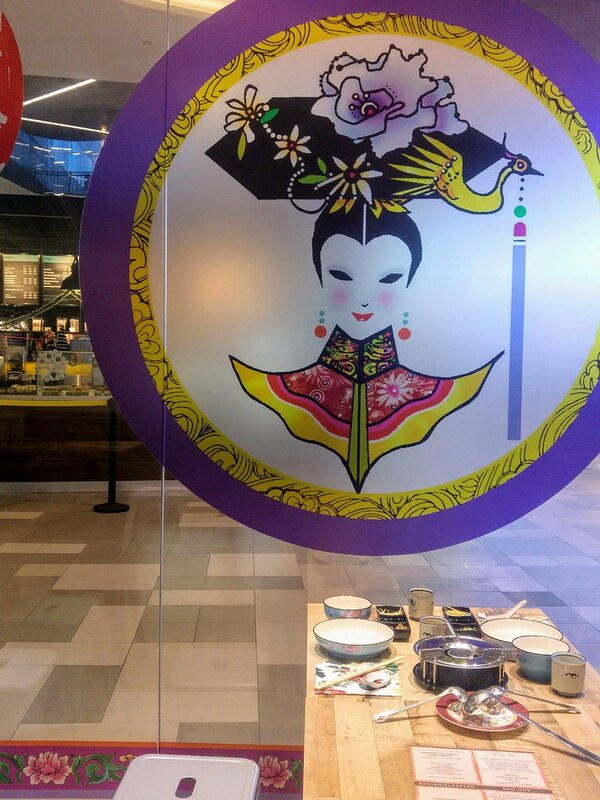 To achieve the desired grainless texture, the Empress Porridge’s 无米粥 is slow cooked for hours which at the same time draw out the sweetness of the rice. Minimum 2 pax is required. Each set comes with fresh prawns, sliced fish, white and brown mushrooms, seasonal vegetables, ring ring beancurd roll including your choice of beef/chick/pork meatballs. Additional charges apply to add-on meat and vegetables. The fish slices were quite good, I like the hint of rice wine that came along with it. I do not recommend choosing beef out of the 3 meat options. I had that but I do not like the taste of it at all. Hence, best to go for either the chicken or the meatballs. The meatballs were sweet and juicy, couldn't be any better to go with the velvety porridge. 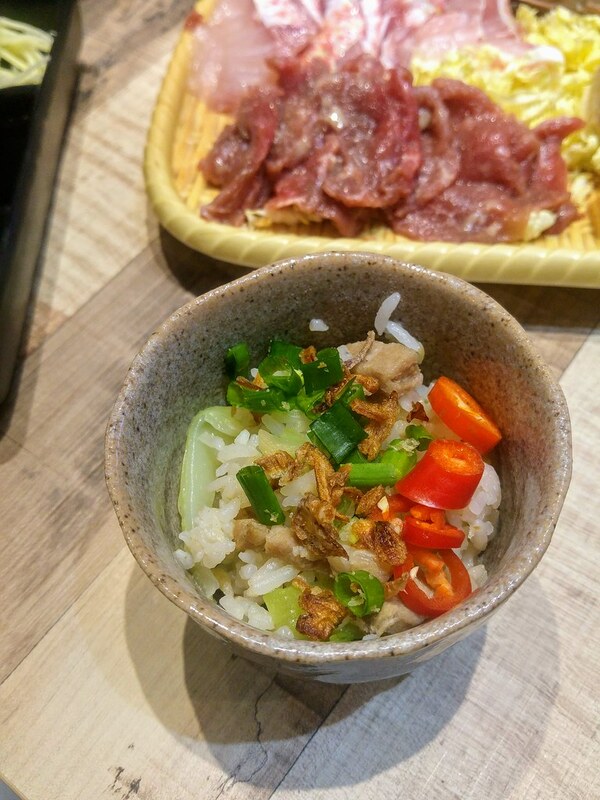 A thoughtful touch added to this set is the mini bowl of Mustard Leaves Fried Rice that will be served to you to wrap up your meal. This is to make sure that you are really full at the end of this humble feast! 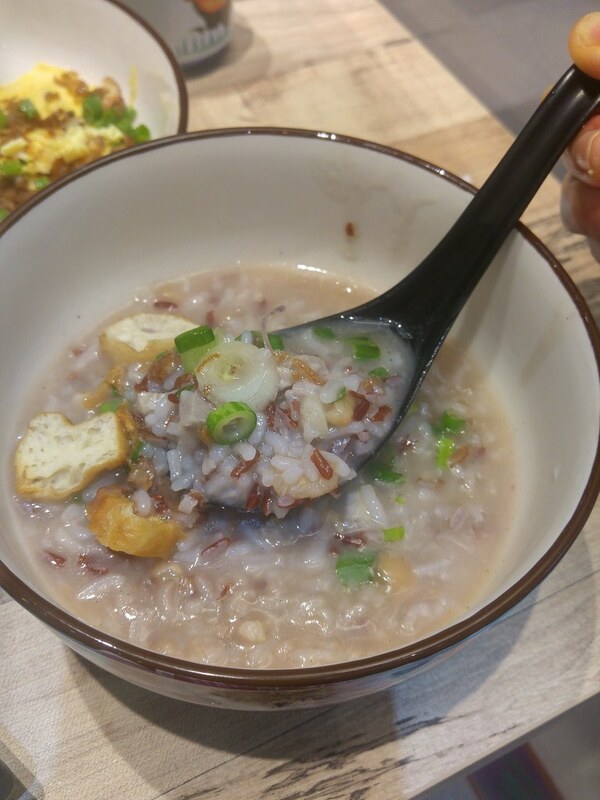 Solo diners can simply go for the Signature Empress Porridge ($4.80) for similar comfort. Signature Empress Porridge is cooked with a mixture of brown and white rice, simmered with dried scallops, cuttlefish, dried shrimp, tender pork collar and braised peanut. Brown rice gave it more bite which I find a lot more satisfying than just using plain white rice. 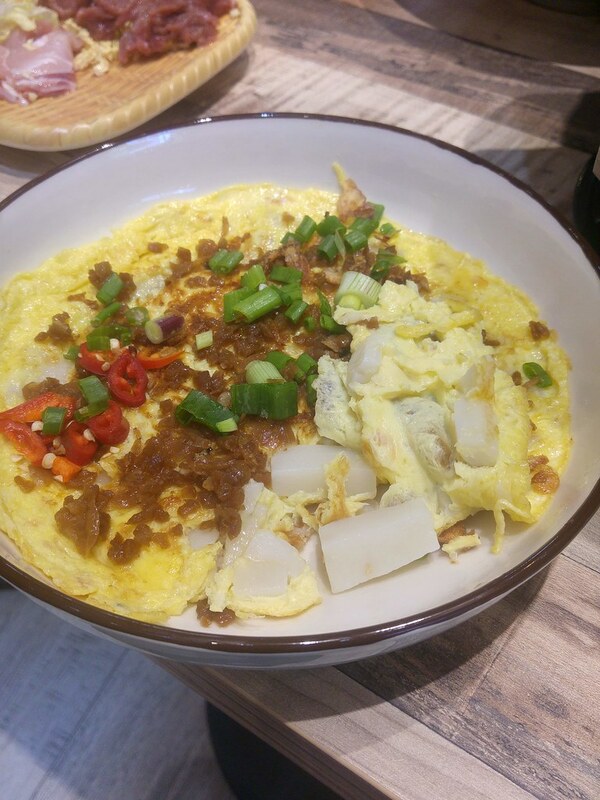 The savoury taste come mainly from the dried scallops and shrimps which elevates the enjoyment of the porridge. However, there might be a need to cut back on the dried shrimps as they can get rather overwhelming after a few bites. Other familiar delights includes Carrot Cake ($2.50) and Prawn Paste Chicken ($2.50). Pricing is economical, considering that these are not from your neighbourhood hawker centre or coffeeshop. The radish on the carrot cake is done in-house which flavoured the fluffy egg nicely, just like Cai Pok egg! The 'cake' itself is mediocre but it will satiate your craving nonetheless. The prawn paste chicken was a bit oily but if you like chicken kaarage, this is not too far off. A quick solution to having homecooked food is their Empress' Take Home Dinner. 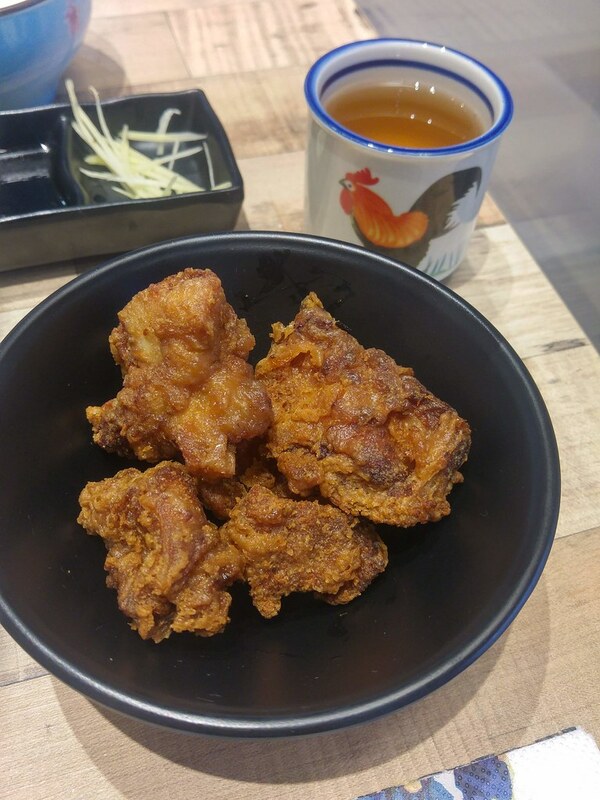 From $9 onwards, each set comes with 1 bowl of heartwarming soup, slow-cooked daily for up to eight hours, 3 hearty dishes and 1 variation of rice dish. Check out their website for more information on pricing and dishes available.